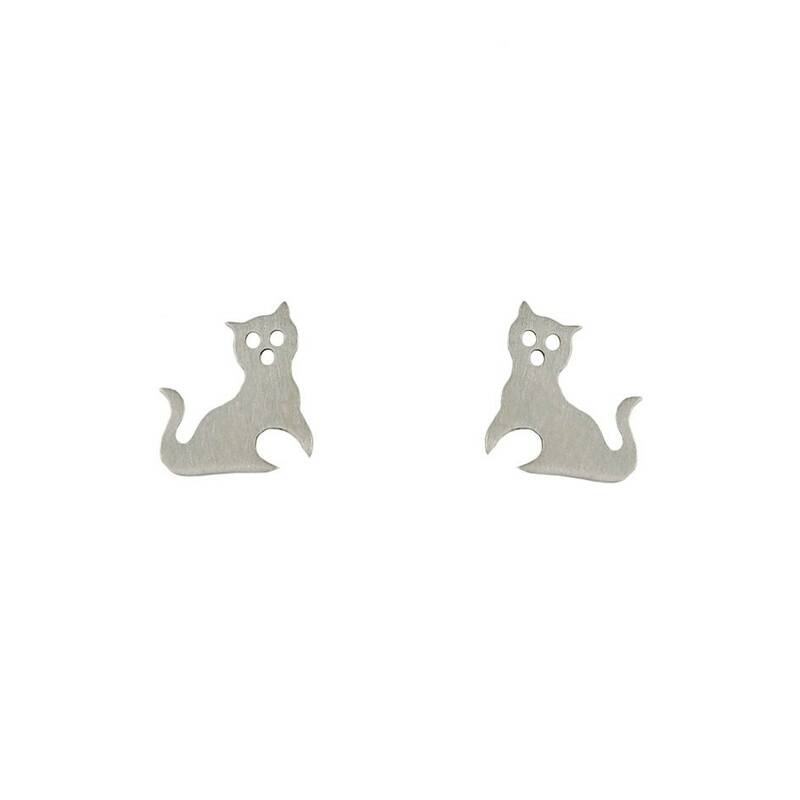 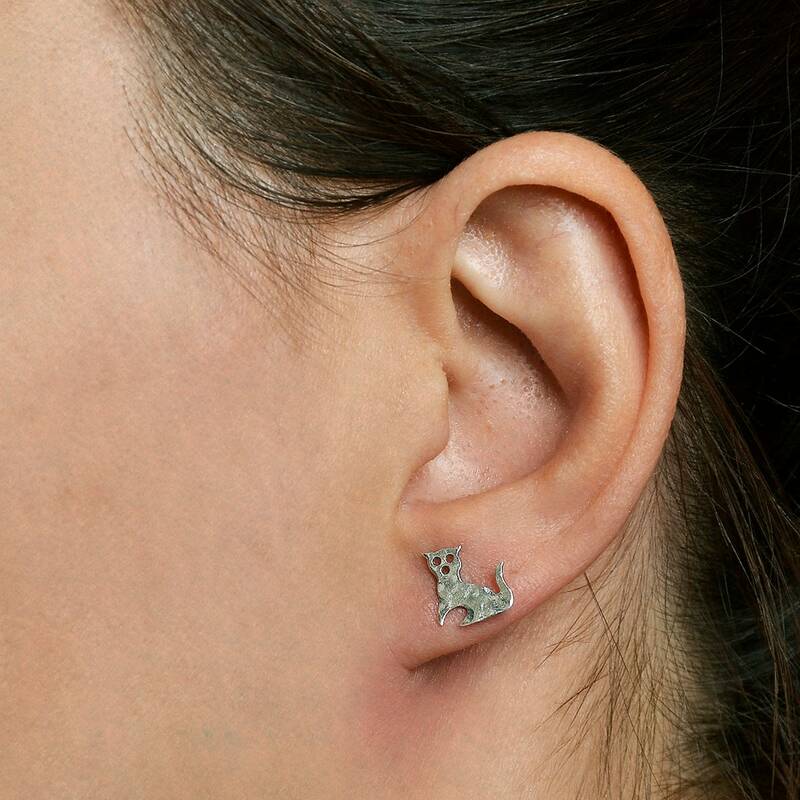 Sterling silver cat girl studs . If you are looking for a pair of tiny cat 10 mm stud earrings, these handmade animal earrings are a great pet lover gift. 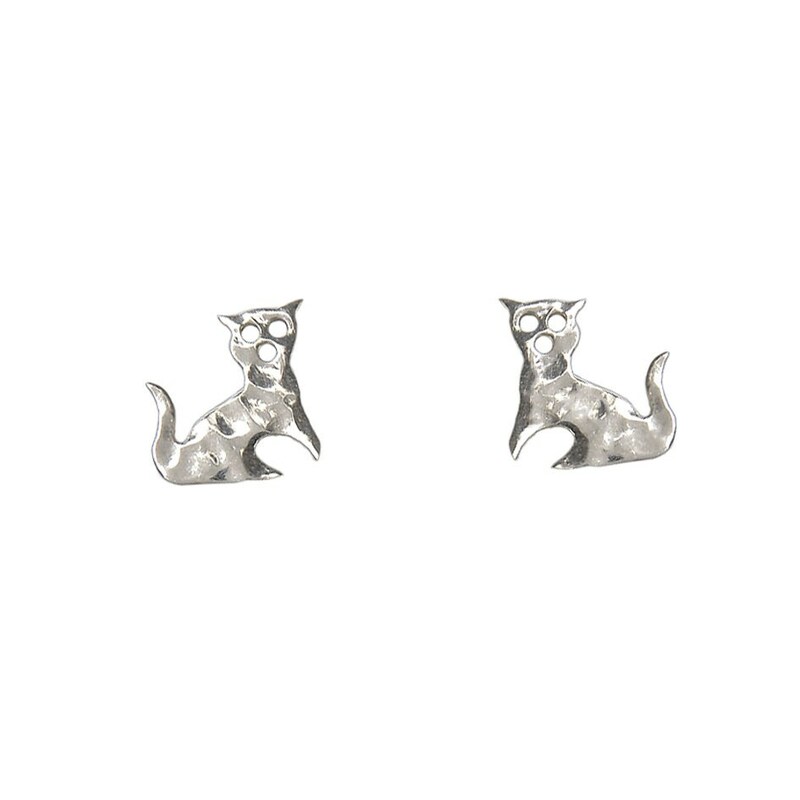 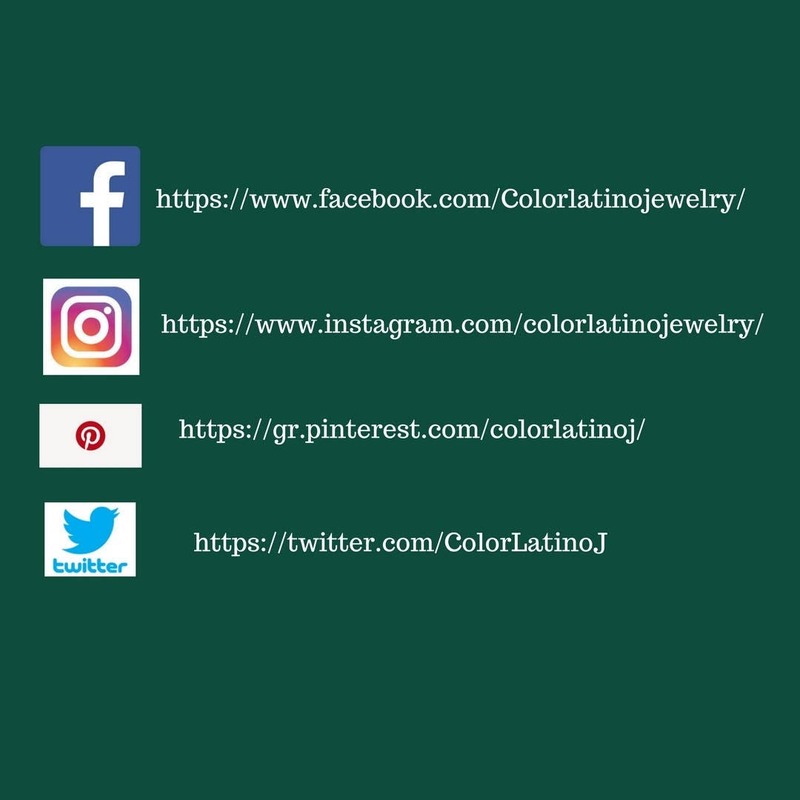 Are children minimalist earrings from our feline jewelry collection at color latino jewelry. 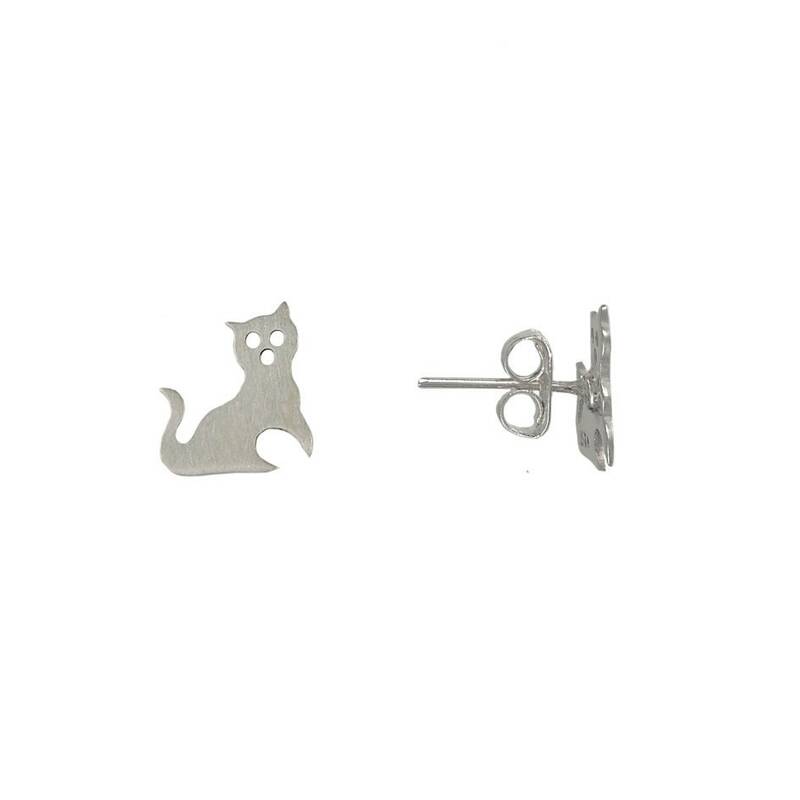 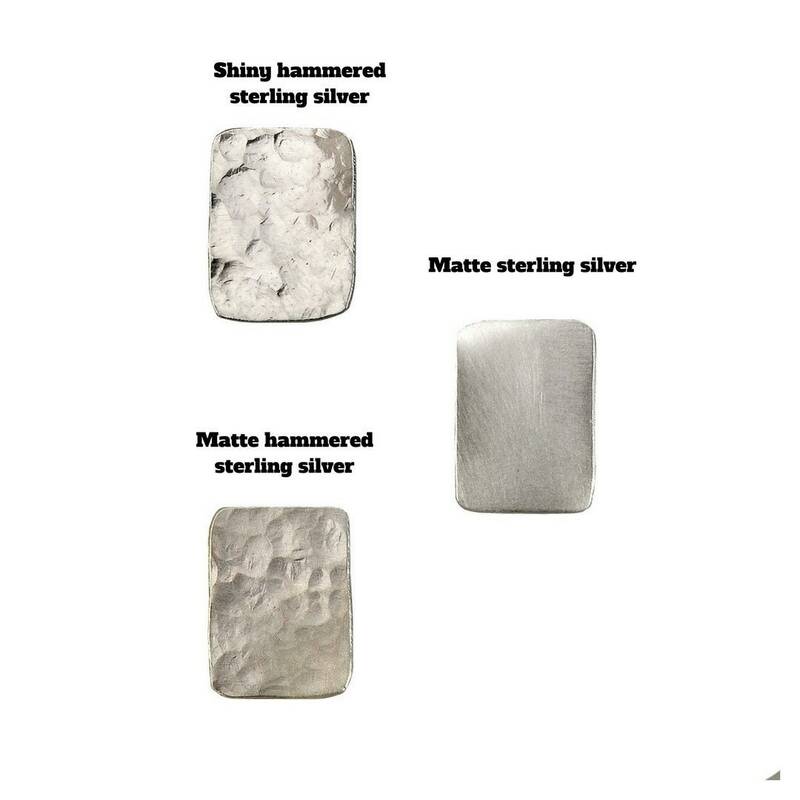 Totally handmade: I design a feline small silver stud by hand in a sterling silver sheet, cut and polish it by hand.